Credit and debit cards have made it easier to go through life without carrying cash, and now that mobile phones that support contactless payment are in the mix, there’s even less reason to have cash on hand. Nearly 150 million people will make a mobile payment using NFC this year. That’s a lot of tapping and paying, but there are still some places where cash remains king. Like when you’re splitting a restaurant bill, paying a babysitter, buying something at a garage sale or farmer’s market, or donating to a local fundraiser. With person-to-person transactions and payments to micro-merchants, paper money is still what people use most. Mobeewave’s technology is about to change that. It makes it possible to collect money, in person, from anyone and at any time, using your phone. All you do is enter the amount to receive, tap to put cash in, and accept the payment. The process works with credit cards, debit cards, and other smartphones. The phone needs no external card reader, the payer doesn’t need to sign up for a service, and you can even send a digital receipt. 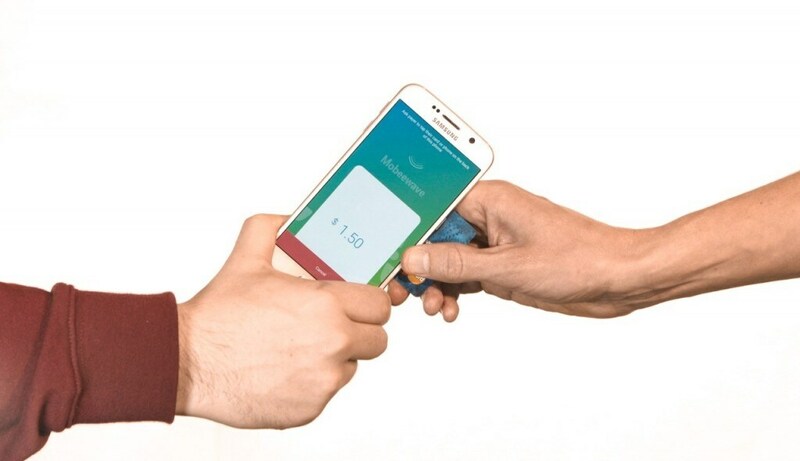 The Mobeewave solution uses an NFC smartphone’s secure element to make the payment as safe as with a bank card. By doing so, it ensures sensitive information related to a transaction is encrypted in a device’s hardware and software security. Unlike other payment transactions, which typically involve sending bank-card information to the cloud, the Mobeewave transaction keeps sensitive data out of the cloud – greatly reducing the risk of private data being hacked. By combining simplicity with security, Mobeewave has created a quick, easy, and convenient way for anyone to accept money from a contactless card or mobile wallet. This service is impressive because enabling payment transactions between two mobile devices over NFC technology requires a highly secure setup, and phone architectures have, to this point, struggled to meet the requirements. The company’s patented technology makes use of a phone’s embedded secure element to provide the highest level of data protection and encryption, and an elegant way to add the in-person peer-to-peer money acceptance functionality to the phone architecture. Now it’s time for Mobeewave to broaden its scope. The company has partnered with NXP to leverage its industry-leading NFC technology and secure elements to reach a global market of smartphone OEMs.